We might be verging towards warmer weather, but that doesn’t stop employees from getting sick as result of letting their health take a back seat. Health and wellbeing is becoming one of the most prominent issues within the workplace, with many employers seeing the importance of building wellbeing initiatives into their overall business strategies. One of the biggest factors that can affect the health and wellbeing our employees is diet. This doesn’t mean restricting ourselves to the fruits of the earth, but eating everything within moderation and not always opting for foods of convenience such as a packet of crisps or a chocolate bar. 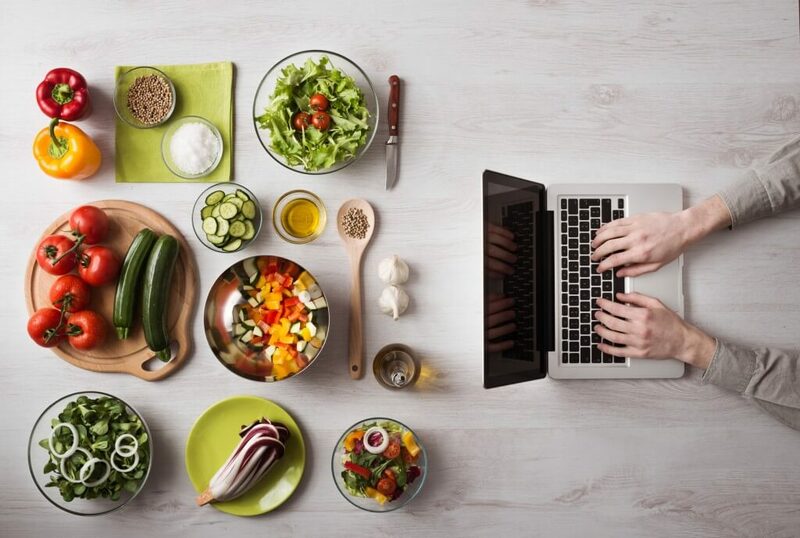 Whilst employers cannot control what their employees, what they can do is encourage a healthier lifestyle by incorporating dietary wellness techniques into the workplace. Not only will a focus on good nutrition help improve the mood, fitness and energy levels of each individual, but as a collective focussing on a balanced diet can significantly reduce office stress levels, whilst increasing productivity through fewer health-related absences. Below are just a few ideas of how to bring healthy eating into the office. Fresh Fruit Days – Within our offices we have incorporated Fresh Fruit Wednesdays into our regular weekly routine. This has proven to be a really effective method of encouraging a healthy outlook, as it provides our staff with a healthy boost of energy mid-morning, whilst also encouraging employees who do not normally eat fruit to ditch unhealthy snacks for a natural alternative. Switch vending machine snacks – Vending machines are a blessing and a curse for employees, whilst they provide a quick way to obtain a drink or snack, they also encourage us to opt for quick and accessible sugary foods. Try talking with you vending machine supplier to introduce healthy snack options into your machines in order to offer a more balanced food choice, giving employees a greater option of snacks. Help time conscious employees – In today’s hustle and bustle, we often find it hard to prepare meals that are balanced for our nutritional needs. Despite this, preparing healthy lunches needn’t take up a lot of our spare time. Within your break areas try including leaflets or magazines that map out quick and easy lunch options for your employees. Or perhaps utilise knowledge already within your workforce. Consider encouraging a health-enthusiast employee to create a board of recipes that they have tried and tested. We all know that a recommendation from a friend or colleague increases the likelihood of us trying something new. Education – With so many different foods out there, how are we to know which and how much of each variety we are supposed to consume? With this in mind, why not consider bringing in a guest speaker who is an expert in nutrition to speak during employee meetings or company training events. This will help your employees build confidence in developing their own healthy eating plans which will benefit them and their lifestyle.